Wasp Nest Removal Stafford can be at your property the same day for any Wasp Problems you may have and Pest Control Staffordshire are qualified for both Commercial & Domestic Wasp Control and we don’t just eradicate Wasps but we also find you the best Pest Solutions to deter Wasps from returning. You will also find all our Pest Controllers friendly and approachable and they will talk you through any work that they carry out. 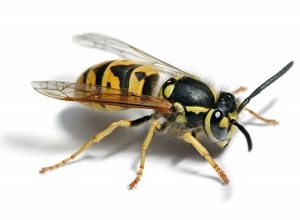 We also use the latest equipment and safe chemicals to ensure just one visit to your property for Wasp Nest Removal. If Wasps Feel Threatened they will sting so for your safety Please call Wasp Nest Removal in Stafford On: 24hr Call 07496 944410 for the same day response to your home. IMPORTANT If you or any of your family suffer from Allergic Reactions to wasp stings, please call and let us know immediately and we will do our upmost to be with you within the hour. Wasps will continue to build their nest throughout the summer months and they can reach from 2,000 to 6,000 and more wasps in a single nest. At Wasp Nest Removal Hampshire we use the latest methods to ensure all adult insects and their larva are destroyed. We can destroy wasp nests for all domestic properties, business premises, timber yards and all other outside work places.